Is Your Mineral Makeup Made In An FDA Certified Lab? The question as to whether or not our facility for manufacturing mineral makeup and skincare products is an FDA Certified and / or Approved Lab is not an unusual one. Unfortunately, it is asked because customers have located other mineral makeup companies making the claim that their minerals are created in an FDA certified lab or an FDA approved lab, whereby inferring they produce better performing products than others on the market. To set the record straight and to dispel this fallacy, the FDA does not certify or approve any labs which create any ingredient, product, cosmetic (mineral makeup included), sunscreen, and all pharmaceutical drugs. So basically, this claim is pure marketing by giving the appearance the FDA endorses their products so they must be safe, yet using this type of verbiage is illegal under FDA law. How it works with the FDA is this: new drugs and biologics must be proven safe and effective to FDA's satisfaction before companies can market them. In fact, this is where some of the confusion occurs and the truth gets manipulated. Since the FDA does not develop or test products, they rely only on FDA experts which review the results of the private laboratory, animal and human clinical testing done by manufacturers, and if FDA grants an approval, it means the agency has determined that the benefits of the product outweigh the risks for the intended use. So does this mean the lab is now certified because the FDA approves the drug or ingredient they produced and tested under their guidelines? No, only that they have met the stringent regulations for manufacturing the drug or ingredient and proved its' value, efficacy and safety to the public. We are an FDA registered company under the voluntary program and as a mineral makeup manufacturer, we believe this is vital to our credibility of the products we provide as complying with all FDA regulations. Yet this does not mean they endorse any of our products. 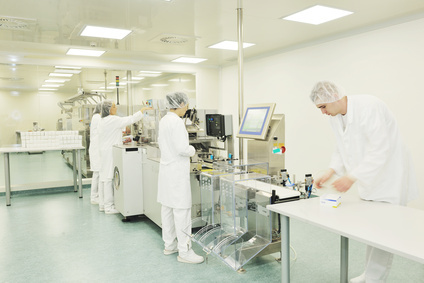 No matter the type or size of the lab, large or small, GMP (Good Manufacturing Practices) is required in order to provide delivery of the safest and cleanest product to customers. The FDA can and does inspect facilities to make sure they (we) are complying with those GMP guidelines because if they do discover violations, it can be grounds for being shut down or penalized. FDA registration however, is mandatory for owners and operators of domestic or foreign food, drug, and most device facilities are required to register with FDA. Blood and tissue facilities also must register with the agency. So What Does FDA Certify? Mammography facilities must be FDA certified. Mammography facilities are required to display their FDA certificates where patients can see them. The certificate indicates that the facilities have met stringent standards and can provide quality mammography. That's it, nothing more and nothing less. And we apologize for those that deliberately create confusion and use FDA terminology in trying to sway you toward purchasing their mineral makeup products. It is truly unfortunate that some mineral makeup brands resort to fabricating a title of sorts, that their products are being made in an FDA Certified Lab just to dupe unwitting customers in order to gain market share. The best part about us exposing this? Now you know the reality behind this indefensible marketing tactic.